Draft: 2012, San Diego Padres, 5th rd. Mallex Lydell Smith…resides in Tallahassee, FL…graduated from Rickards High School (Tallahassee, FL) in 2011…All-Conference in baseball and football at Rickards HS… offered a football scholarshop by Florida A&M…attended Santa Fe Community College (Gainesville, FL) for one season, batting .380 (62x163) with 9 doubles, 7 triples, 1 home run, 17 RBI and 31 stolen bases. The Totals - Hit .296 (142x480) with 65 runs, 27 doubles, 10 triples, 2 home runs, 40 RBI, 47 walks, 40 stolen bases and a .367 on-base percentage in 141 games with the Rays...Triple Threat - Tied for the AL lead with 10 triples (also: Yolmer SánchezCWS)…trailed only Ketel Marte-ARI (12) for the Major League lead...Hey Batter, Batter - His .296 batting average was 11th-best in the American League…among players 25-or-younger, his .296 mark was 4thbest in the Majors, trailing only Mooke Betts-BOS (.346), Miguel Andújar-NYY (.297) and Manny Machado-BAL/LAD (.297)...Off to the Races - Ranked 3rd in the Majors with 40 stolen bases, trailing only Whit Merrifield-KC (45) and Trea Turner-WAS (43)...Start it Up - Made 127 outfield starts: 62 in center field, 42 in right field and 23 in left field...Get On - Had 4 bunts hits, tied with 9 other players for 8th-most in the AL...Home Sweet Home - Recorded his 1st career steal of home on Sept. 9 vs. Baltimore… went 1-for-4 in attempting to steal home...Frozen Rope - According to Fangraphs, posted a 24.9 percent line drive rate on batted balls, 7th-best in the American League...Home and Away - In 70 home games, posted a .347/.415/.471 slash line…in 71 games on the road, had a .244/.317/.340 slash line…his .347 (84x242) home average was 3rdbest in the Majors...Play the Hits - Equaled his career-high with 4 hits 3 times: April 9 at Chicago-AL, April 16 vs. Texas and Aug. 5 vs. Chicago-AL...Leading the Way - Moved into the leadoff spot on Aug. 5 and from that point through season's end, hit .304 (52x171) with 9 doubles, 2 triples, 1 home run, 14 RBI, 16 walks, 18 steals, a .374 on-base percentage and a 398 slugging mark in 41 games...Community All-Star - Won the club's Paul C. Smith Champion Award, given to the player who best exemplifies the spirit of true professionalism on and off the field…was selected as the Rays nominee for the Roberto Clemente Award...On the Shelf - Missed 8 games while on the 10-day disabled list, Aug. 25-Sept. 2, with a viral infection…appeared in 1 game on a rehab assignment with High-A Charlotte...For Openers - Made his 2nd career Opening Day roster. Appeared in 81 games across four stints in the majors with the Rays and started 68 games (47-CF, 14-LF, 7-RF)…spent the remainder of the season with Triple-A Durham... Recorded 16 SB in 21 attempts, tying Steven Souza Jr. and Kevin Kiermaier for the team lead…matched his stolen base total from his 2016 rookie season…combined for 37 SB between the majors and minors, leading Durham with 21 SB in only 45 games... Tied for 4th in the AL with 5 bunt hits, trailing MIN Byron Buxton (11), TEX Delino DeShields (11) and SEA Jarrod Dyson (6)…was the most by a Ray since Brandon Guyer (7) in 2014…is one of three players with at least 5 bunt hits in each of the last two seasons, along with MIA Dee Gordon and PHI César Hernández... Made his first career Opening Day roster and started in left field, batting 8th in the lineup… went 1-for-4 in his Rays debut with a single off Masahiro Tanaka in his second at-bat... On April 8 vs. TOR, reached base a career-high 5 times with a career-high 3 BB…posted the third multi-SB game of his career, joining Carl Crawford as the only Rays to ever reach 5 times and record 2 SB... Removed from the game on April 13 at NYY in the 3rd inning and was placed on the disabled list the next day with a right hamstring strain… reinstated on April 27 and optioned to Durham… hit .306 (33-for-108) with 12 SB in 24 games for the Bulls and was recalled for a one-day stint on May 31... Recalled again from Durham on June 9 following Kevin Kiermaier's right hip fracture…during Kiermaier's 61-game stay on the disabled list from June 9-Aug 17, Smith made 51 starts (45-CF, 4-LF, 2-RF)…began that stretch with a 12-game hitting streak from June 9-21, a career high and the longest by a Ray in 2017…hit .354/.415/.458 (34-for-96) in 25 games from June 9-July 8, but hit .210/.269/.310 (21-for-100) in 33 games from July 9-Aug 17 and was optioned to Durham when Kiermaier was reinstated on Aug 18... On June 9 vs. OAK, became the second player in club history with 1 HR and 3 SB in a game, joining Carl Crawford on May 24, 2006 at TOR… was the first center fielder to do that since SEA Mike Cameron on May 16, 2002 at TOR…was the ninth center fielder to do it since Baseball Reference data is available (1913), a list that includes Hall of Famers Rickey Henderson and Willie Mays…the homer was his first since May 17, 2016 at PIT and the 3 SB were a career high... On July 5 at CHC, recorded a career-high 4 hits and 3 runs…became the second Ray all-time with a 4-hit game at Wrigley Field, joining Aubrey Huff on June 4, 2003... Attempted only one stolen base in his last 31 games, beginning July 31, and was thrown out (Sep 21 at BAL)... Was traded twice within a span of 90 minutes on Jan 11, 2017…sent by the Braves to Mariners, then Mariners to Rays as part of the return for Drew Smyly. Started the season with Triple-A Gwinnett (Braves), but was called up to Atlanta on April 11 after OF Ender Inciarte suffered a hamstring injury…stayed on the major league roster through the end of the season, but missed three months with a fractured left thumb...Struggled over the first 15 games of his career, batting .136/.240/.205 (6-for-44) with 16 SO… after that, hit .269/.340/.414 (39-for-145) in 57 games through the end of the season...Hit leadoff and started in center field on April 11 at WAS, his major league debut…led off the game with a 3-pitch strikeout against Max Scherzer…singled off Scherzer in the 2nd for his first career hit…left the game in the 4th inning after suffering a cut on his forehead when he was caught stealing…received five stitches above his eye but returned to the starting lineup the next day...credited with his first career homer via replay review…it came in the 5th inning off Matt Harvey on May 3 at NYM…his drive to the opposite field was initially ruled a triple...Slugged a pair of 2-run home runs on May 17 at PIT, the first multi-HR game of his professional career…was the first Brave with a 2-HR game out of the No. 9 spot in the batting order since pitcher Derek Lilliquist in 1990 and the first with a 2-HR, 4-RBI game since pitcher Tony Cloninger in 1966…didn't homer in his 41 games (25 starts) after that...Recovered from his thumb injury to begin a rehab assignment with Double-A Mississippi on Sep 1…remained there for the team's playoff run…reinstated from the DL on Sep 16...Saw limited action for the Naranjeros de Hermosillo in the Mexican Pacific League and the Indios de Mayagüez of the Puerto Rican Winter League following the season due to a strained oblique. Entered 2016 as Atlanta's 10th-best prospect according to Baseball America. Also named as the "Best Athlete" and the "Fastest Baserunner" by the publication…Named the Organizational Player of the Year after splitting his season between Triple-A Gwinnett and Double-A Mississippi and hitting a combined .306 (148-for-484) with two home runs, 35 RBI and 57 steals in 126 games. His 57 steals were the fifth most in all of minor league baseball and tops in the organization, while his .306 average ranked fifth in the Braves' farm system…Named to the Southern League All-Star game after beginning the season with the M-Braves and hitting .340 (70-for-206) with a team-best 23 steals in 57 games. Led off for the South All-Stars and went 1-for-3 in the North squad's 9-0 win on 6/23 in Montgomery…Batted .407 (44-for-108) on the road for the M-Braves…Named the Mississippi Position Player of the Month for May and June by the organization. Went 33-for- 95 (.347) with 10 steals in 26 May games, while he hit .346 (18-for-52) with a .477 OBP in 17 June games…Made his Triple-A debut on 6/24, going 0-for-3 with a run scored, a walk and an RBI vs. Indianapolis. Started in center field and hit leadoff. Got credit for playing in the 5/31 game after it was completed on 8/15…Named IL Player of the Month for August after batting .336 (41-for-122, 24 runs, 13 stolen bases) in 29 games…Swiped a career high-tying three stolen bases, 6/27 at Pawtucket. The game marked his ninth contest with three steals…Stole a base in a season-best five consecutive games twice (5/20-5/24 and 9/1-9/4). March 22, 2019 Seattle Mariners activated CF Mallex Smith from the temporarily inactive list. March 19, 2019 Seattle Mariners placed CF Mallex Smith on the temporarily inactive list. September 3, 2018 Tampa Bay Rays activated CF Mallex Smith from the 10-day disabled list. September 1, 2018 Tampa Bay Rays sent CF Mallex Smith on a rehab assignment to Charlotte Stone Crabs. August 25, 2018 Tampa Bay Rays placed CF Mallex Smith on the 10-day disabled list retroactive to August 24, 2018. Viral infection. September 5, 2017 Tampa Bay Rays recalled CF Mallex Smith from Durham Bulls. August 18, 2017 Tampa Bay Rays optioned CF Mallex Smith to Durham Bulls. June 9, 2017 Tampa Bay Rays recalled Mallex Smith from Durham Bulls. June 1, 2017 Tampa Bay Rays optioned LF Mallex Smith to Durham Bulls. May 31, 2017 Tampa Bay Rays recalled Mallex Smith from Durham Bulls. April 27, 2017 Tampa Bay Rays optioned LF Mallex Smith to Durham Bulls. April 27, 2017 Tampa Bay Rays reassigned LF Mallex Smith to the minor leagues. April 25, 2017 Tampa Bay Rays sent CF Mallex Smith on a rehab assignment to Charlotte Stone Crabs. April 14, 2017 Tampa Bay Rays placed LF Mallex Smith on the 10-day disabled list. Right hamstring tightness. January 11, 2017 Atlanta Braves traded CF Mallex Smith and RHP Shae Simmons to Seattle Mariners for LHP Luiz Gohara and LHP Thomas Burrows. December 13, 2016 OF Mallex Smith assigned to Indios de Mayaguez. October 28, 2016 Naranjeros de Hermosillo placed OF Mallex Smith on the reserve list. October 11, 2016 OF Mallex Smith assigned to Naranjeros de Hermosillo. September 16, 2016 Atlanta Braves activated CF Mallex Smith from the 60-day disabled list. September 1, 2016 Atlanta Braves sent OF Mallex Smith on a rehab assignment to Mississippi Braves. August 10, 2016 Atlanta Braves activated CF Mallex Smith from the 15-day disabled list. August 10, 2016 Atlanta Braves transferred CF Mallex Smith from the 15-day disabled list to the 60-day disabled list. Fractured left thumb. June 21, 2016 Atlanta Braves placed CF Mallex Smith on the 15-day disabled list retroactive to June 20, 2016. Fractured left thumb. April 11, 2016 Atlanta Braves recalled CF Mallex Smith from Gwinnett Braves. March 18, 2016 Atlanta Braves optioned CF Mallex Smith to Gwinnett Braves. November 19, 2015 Atlanta Braves selected the contract of Mallex Smith from Gwinnett Braves. June 24, 2015 CF Mallex Smith assigned to Gwinnett Braves from Mississippi Braves. May 31, 2015 CF Mallex Smith assigned to Gwinnett Braves. April 2, 2015 CF Mallex Smith assigned to Mississippi Braves from Carolina Mudcats. February 3, 2015 Atlanta Braves invited non-roster CF Mallex Smith to spring training. December 19, 2014 CF Mallex Smith assigned to Carolina Mudcats. June 30, 2014 Lake Elsinore Storm activated CF Mallex Smith from the 7-day disabled list. June 21, 2014 Lake Elsinore Storm placed OF Mallex Smith on the 7-day disabled list. June 19, 2014 OF Mallex Smith assigned to Lake Elsinore Storm from Fort Wayne TinCaps. March 2, 2014 CF Mallex Smith assigned to San Diego Padres. May 14, 2013 Fort Wayne TinCaps activated OF Mallex Smith from the 7-day disabled list. May 1, 2013 Fort Wayne TinCaps placed CF Mallex Smith on the 7-day disabled list. March 31, 2013 CF Mallex Smith assigned to Fort Wayne TinCaps from Eugene Emeralds. March 18, 2013 OF Mallex Smith assigned to San Diego Padres. September 25, 2012 Mallex Smith roster status changed by Eugene Emeralds. August 30, 2012 Eugene Emeralds placed OF Mallex Smith on the 7-day disabled list retroactive to August 28, 2012. August 11, 2012 OF Mallex Smith assigned to Eugene Emeralds from AZL Padres. June 20, 2012 Mallex Smith assigned to AZL Padres. 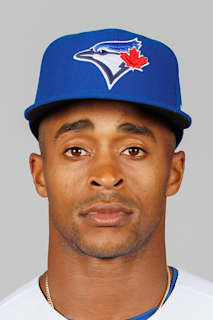 June 11, 2012 San Diego Padres signed CF Mallex Smith.